Packing For A Trip – What To Pack? Packing for a trip should be fun. After all, you are going somewhere (hopefully somewhere nice). Still many people dread packing luggage and find the whole experience frustrating, even stressful. This is usually because they are not sure what to pack. They are worried about forgetting something but at the same time worried that they are packing too much. You can make the whole travel packing experience more enjoyable by using vacation packing list and following these simple tips when packing for a trip. We have all heard about the benefits of packing light. It is many ways more convenient to travel light but it can also save you money. Airlines are getting increasingly strict with their luggage allowance, charging hefty fees for overweight bags. More and more airlines are also starting to charge passengers for checking their bags in. Packing light can therefore save you some hard-earned cash. Travelling light is also more convenient, especially if you are using public transport to getting to and from the airport / hotel. However, packing light is not always an option, especially not on longer journeys. Some people are though better at travelling light than others... must admit we are not one of those people. We travelled around the world for a year with two suitcases, daypack and camera backpack. We follow one simple rule when packing for a trip. We start with the items we need for the trip. If there is still space left in our bag, we fill it up with those items we would like to take with us. We use vacation packing list to help us decide which items are must and which are nice to have. We use packing organization systems to help us stay organized and luggage scale to make sure we do not exceed our airlines luggage weight limits. Which clothes to pack depends on few things, like where you are going and for how long. Some people though "need" to pack more clothes than others do, i.e. they like to have more clothes to choose from when travelling. The climate at your destination determines the type of clothes you need. You need very different attire for a trip to Iceland than if you are going on a Caribbean cruise. Always check the Weather At Your Destination prior to packing for a trip. Unless you are an extremely skilled light traveler, you will need to pack more clothes for longer trips. Access to washing facilities can also influence how much clothes you pack. Sometimes you just don´t have the time or access to wash your clothes, other times you just can´t be bothered. Most of us prefer to pack enough clothes to last us during our journey. This is easier on shorter journeys but there are some clever tips you can follow to make your clothes last longer when travelling. The best clothes for traveling are wrinkle free / resistant, quick to dry and lightweight. Wrinkle resistant is important so you do not have to spend time ironing. Quick to dry is important if you get wet or have to wash your clothes and lightweight is important due to luggage restrictions. Average pair of jeans weighs around 700 - 800 grams while lightweight travel trousers can weigh less than 300 grams. Meaning you could either pack twice as many items or travel with half the weight. You can get special travel clothes that fulfill above criteria but some regular clothes are lighter, quicker to dry and less wrinkly than others. 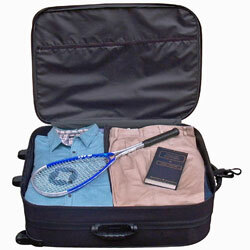 Therefore when packing for a trip have practicality as well as style in mind. Wearing layers is the best way to deal with temperature variations and gives you more flexibility when travelling. Number of lightweight technical layers also takes less space in your bag than heavy jackets and pullovers. There are also ways to get more outfits out of fewer items of clothes. Pick colors that go well together and clever use of accessories can change the look and feel of an outfit. Clothes with multiuse purpose are perfect when travelling, e.g. dress that you can wear as casual daywear and formal evening wear by just changing your shoes and accessories. Reversible clothes are another way to double your choices without adding too much to your luggage weight. The bottom line is to choose your clothes carefully when packing for a trip. Think practicality as well as style and try to get as many outfits as possible out of as few clothes as possible. 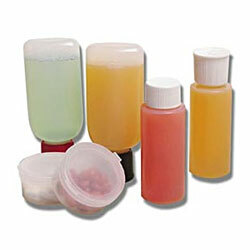 Toiletries can be deceptively heavy so it makes sense to choose them carefully when packing for a trip. If you are travelling with hand luggage only, then you must pack your toiletries in line with your Airports Security Rules. Most airports only allow liquids in 3.4 ounce (100 ml) containers and all liquids must be placed in a single clear plastic bag when going through security. Anyway, it does not make much sense to be travelling back with unused toiletries so minimizing the toiletries always makes sense when packing for a trip. Some people prefer to buy the toiletries they need at their destination. This saves space in your bag on the way out but bear in mind that the selection at your destination might be different from what you are used to. The price may also be higher or lower, depending on where you are going. Most people bring some toiletries but may leave some "luxury" items behind, e.g. the electricity toothbrush. Leaking toiletries are not only annoying, they can damage other items in your bag. So make sure all caps are firmly on when packing for a trip and use special Toiletry Bag for all your toiletries. The use and ownership of electronic gadgets has skyrocketed in recent years and most of us now take some gadgets and gear with us when travelling. Some trips require us to bring some gear with us, e.g. when going on golfing or skiing vacation. And sometimes we need to travel with various electronic gadgets, e.g. when travelling on business. But most of the time it is about preference rather than necessity, i.e. we like to bring electronic gadgets even if we don't strictly need to. Electronic gadgets are however both vulnerable and expensive. They also take up valuable space, i.e. with all the cables and chargers. Therefore, it can make sense to leave them behind if we do not need them on our travels. Nevertheless, fewer and fewer of us do so make sure you have adequate insurance when travelling with expensive gadgets and gear. Always pack your electronic gadgets carefully. Use protection covers for each item and securely place it in your main / carry-on bag. You can often rent gadgets and gear at the other end and many prefer to do it, e.g. when going on skiing vacation. The bottom line is to choose your gadgets and gear carefully when packing for a trip. If you don't need it consider leaving it behind. Only bring it if you can afford to lose it or have adequate insurance in place. And make sure you pack all gadgets carefully.